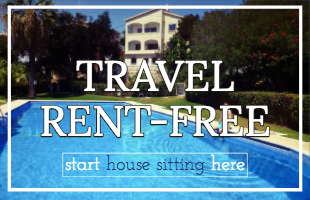 We thought long and hard about whether we wanted to fly or take the bus from Bangkok to Siem Reap. We were eager to take the bus as it's more environmental, but we were put off by the number of scams we'd heard happen at the Thai/Cambodian border. In the end we decided to go for the bus, because we figured the worse that could happen was we'd loose a few bucks to a crafty scammer (you're welcome environment). We read a lot of posts about how to avoid scams on the Bangkok/Siem Reap journey, and we watched lots of YouTube videos too, so we felt pretty prepared. 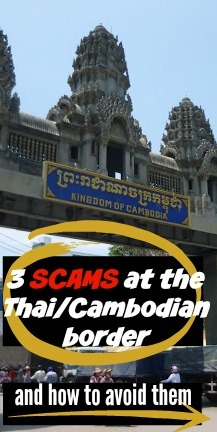 We're really grateful that those posts and YouTube videos were out there, and thus we are writing this post in the hope that we can in turn can help out people, like you, who don't want to get scammed going into Cambodia from Thailand. The steps are important to know, if you don't know what's coming it's a really confusing process, because there's a lot going on. But once you know the steps it really is as simple as 1,2,3 (there are three steps). We only came across three scams (thankfully). The scams and the steps are intertwined, so I'll write it out in the order it happened. - Don't worry there's a pin-able summary of the steps and the scams at the bottom. Okay 'plenty' of options might be pushing it a little, though there are lots of bus options. Most go from Morchit Bus station (take the tube to Morchit and a taxi to the bus station). We picked the one that went at a convenient time (9am) and one that went all the way through, with the visa stop at Poipet. Okay so we'd read the blog posts and watched the YouTube videos, and we felt pretty prepared. We were NOT prepared for people with official jobs trying to scam us.. But low and behold our first scammer was the bus driver's associate. On the bus before we had even got to the border our bus driver associate came around with a sheet of prices, saying that if we paid 100 baht he'd do everything for us, it would be done really quickly and we wouldn't have to get off the bus. 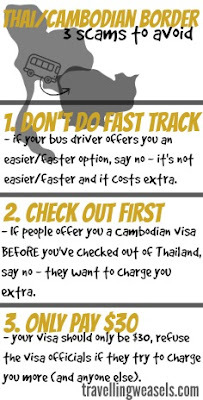 The first problem with this was paying extra, as we'd already paid 7500 baht each for the bus and we knew we'd be paying $30 for our visa. 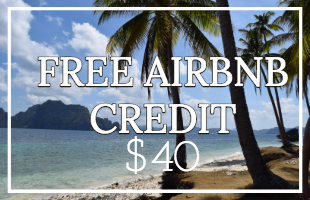 100 baht is nothing, but why pay for something you don't need? It's the principle of it. We'd been given a note saying that the bus wouldn't wait longer than an hour for us, what if all the passengers paid the 100 baht and were done quickly and we had to queue for ages and then the bus went without us?!? Just as I started to ask Tanbay his opinion, I noticed the bus driver associate taking all the passports off the people who'd paid. I'm not down with letting my passport go off on its own ever and that got me back to the hard place (missing the bus). I thought rationally and remembered that none of the reviews I'd read online had said that the bus had driven off without them. We decided to stick to the original plan, get off the bus, get the visa for ourselves and not pay any extra. It turned out that the people who paid extra did of course still have to get off the bus, and then in the end we were back on the bus way before they were! Go figure! TIPS: get your passport photos before you get there! Some of the bus people didn't have 'official photos'. The bus driver associate told them they'd have to pay him an extra 300 baht and he'd get them for them. Then he took a photo of them on his phone and printed it off! Official! Summary of scam 1: Don't be bullied by your bus driver associate, politely tell him that you will do it all yourself. And don't worry about them leaving without you. They do this journey everyday and loads of people opt to do it themselves, even if it does take longer (which, like I said it didn't for us) we didn't find any reports online of them going off without you, and we all took longer than 1 hour. As we exited the bus, before we'd reached the official 'stamping out of Thailand' place, scammers tried to get us to go off with them to get our Cambodian visa. Thanks to our research, we knew you have to check out of Thailand BEFORE you get your Cambodian visa. 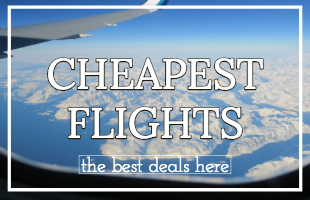 These people charge extra (of course) and you should stamp out of Thailand first. So we politely told them no, and headed off towards step 1. Once we'd avoided scam 2 it was pretty straight forward, just head through the arch to the officials. There are a lot of other buildings and things going on to your left and right, so it looks confusing, but once you know it's straight forward, you will see the obvious big arch and go inside. 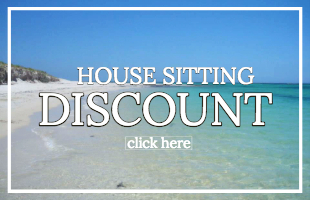 You have to fill out an exiting Thailand form, which hopefully you will still have with you from when you arrived in Thailand (if not don't worry they will give you one, but it takes a little longer). So we were shocked when the official bus people wanted us to pay extra, but we were super-duper shocked when the official visa people wanted us to too! On the official gov.uk page (and whatever the German one is) it clearly says a tourist visa is $30 for one month. Even in the visa building it clearly says a tourist visa is $30. But the official visa people with their badges and uniforms were asking for $33! Again, $3 isn't a lot, but it's the principle of it! We asked what the extra 3 was for and pointed at the sign, the official shrugged and said it was $33. We said we've been told it's $30, why are you saying $33 and the official shrugged and said it was $33. We said we only had $30 on us (well $60). The official sighed and said we'd have to wait. Luckily there wasn't a big queue, and two girls from the USA had said the same as us. We just sat there and watched them take $33 (each) from the five people behind us in the queue. Then he came over, sighed some more and took our $30. It was crazy! I mean seriously! I was expecting them to come over and try and scare us into thinking we'd miss our bus, or simply say 'look I'm the official visa guy, if you don't give me $33 you're not leaving'. Thankfully none of that happened, and five minutes later we had our visas (and our $3 each). TIP: don't pay it, the more people that pay the more it will be expected. Also have the correct change, one of the USA girls only had $20 notes, I'm not sure if he'd have come back with her $10 change or come back with $7.. I was a hero and swapped her $20 for 2 $10s (I know, I'm expecting the noble peace price any day now #notallheroswearcapes). The last step was the easiest and there were no scams. 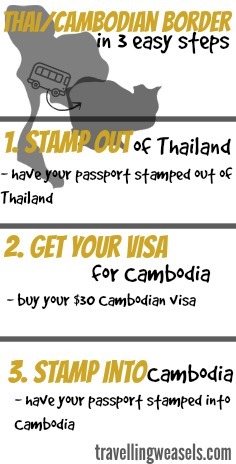 We filled out another bloody form and were finally stamped into Cambodia! Sometimes I think they take fingerprints here but for some reason they didn't that day (though they did on the way back). After all that, we got back on the bus - note, it's not nicely parked outside the last step, but it's on the main road and not too hard to find. We were indeed back on before almost all of the people from scam 1 who paid extra for 'fast track'. So there you have it, three scams, three steps and three forms later we made it! And if you do, it's not the end of the world, it's only going to be a few bucks. Note: please note that we absolutely LOVED Cambodia, it was one of our favourite countries in South East Asia. Half of the scams happened on the Thai side. 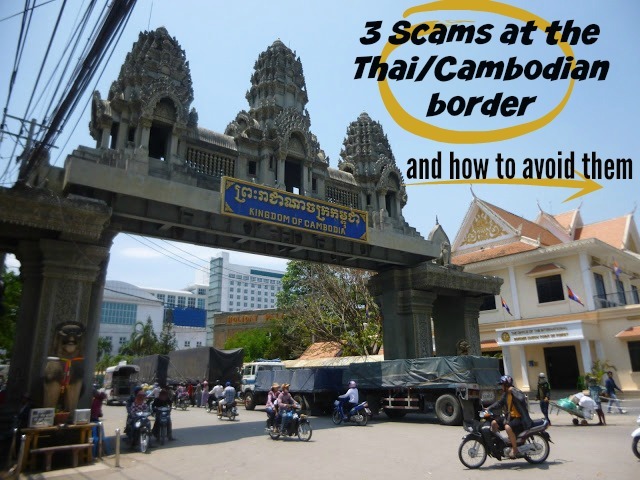 This border is notorious for scamming, but don't let it put you off! In the end we enjoyed our bus ride, and really really enjoyed Cambodia - we can't wait to go back! 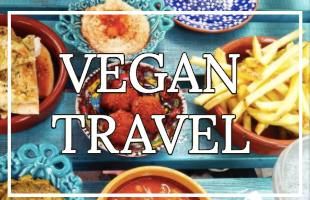 Have you taken this journey? Are there any tips/steps scams we missed out? Let us know in the comments below!